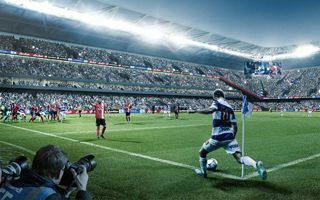 In early September Queens Park Rangers began their consultation process for the new 40,000-seater at Old Oak. This is the closest plot available for development north of Loftus Road, but the issue of availability seems to play key role. The land is owned by Cargiant and the company has already strongly denied engaging in talks with QPR over the land’s future. The club’s offer was described as a non-starter. Still, it was widely considered a negotiation tactics in media reports and the club remain hopeful. Now Geoff But Warren, owner of CarGiant, has insisted he is pushing ahead with his own plans for the area. He said: “We own the land. We are going to develop it. The stadium is just not going to happen. It’s simply not viable. Its presence slows down sales. “I’m not saying all this because we want to build up the price. I’m rich enough not to need their money. I’m not interested in having a stadium. Would you want to live in a stadium environment? QPR hope to submit their planning application next April.